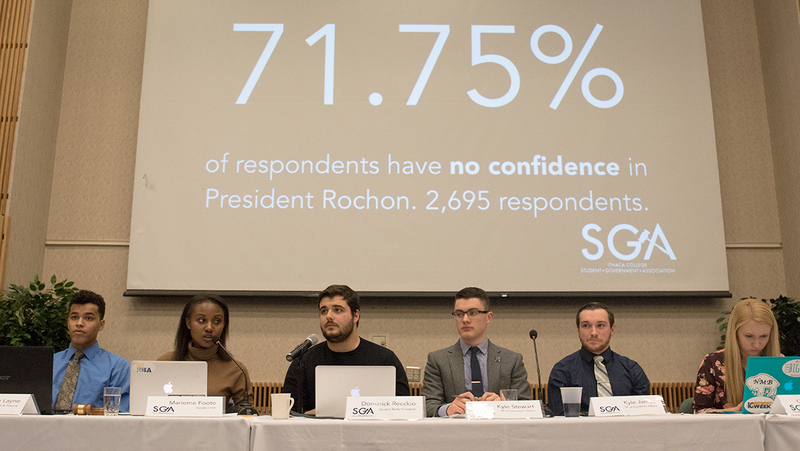 Ithaca College students have voted “no confidence” in President Tom Rochon, with 71.75 percent of students who voted expressing no confidence. Dominick Recckio’s ticket, IC*NSYNC, narrowly won the Ithaca College Student Government Association Executive Board election April 24. An introduction to the Ithaca College Student Government Association executive board candidates and their platforms. A group of senators within the Ithaca College Student Government Association are displeased with the handling of the organization’s Appropriations Committee, saying the SGA executive board members violated the group’s constitution by voting on certain occasions when the committee allocated funds to student organizations.